The Boston Gay Men’s Movie Group (a friendly Meetup group) is planning to go see Love, Simon at the AMC Movie Theater on the Boston Common on Sunday morning. If you’d like to join them to watch the movie, you need to RSVP for details on where and when they will be meeting before heading into the theater. Love, Simon has been getting rave reviews. It has a 91% rating on Rotten Tomatoes, has been referred to as this generation’s Breakfast Club (high praise indeed) and is being dubbed the first gay-themed RomCom. 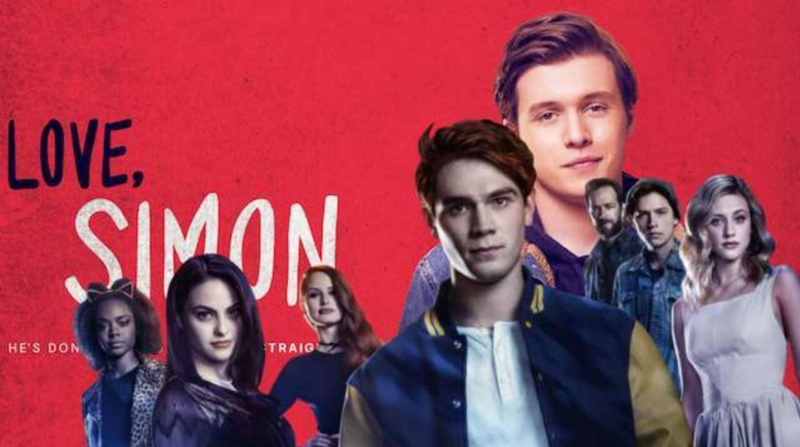 About Love, Simon: Everyone deserves a great love story, but for 17-year-old Simon Spier, it’s a little more complicated. He hasn’t told his family or friends that he’s gay, and he doesn’t know the identity of the anonymous classmate that he’s fallen for online. Resolving both issues proves hilarious, terrifying and life-changing. This entry was posted in Art & Film, Gay and tagged Art and Film, BosGuy, Boston Guy, Gay. Bookmark the permalink.